It is very easy to change your email settings in FamilyHub. Include an excerpt of replied to post in emails – if this is on then it is easier to remember what the post was about. Send me an email when someone messages me – this simply lets you know when someone has messaged you on FamilyHub. If you uncheck this you will still see it the message when you login as a notification – there is more about notifications further down this post. 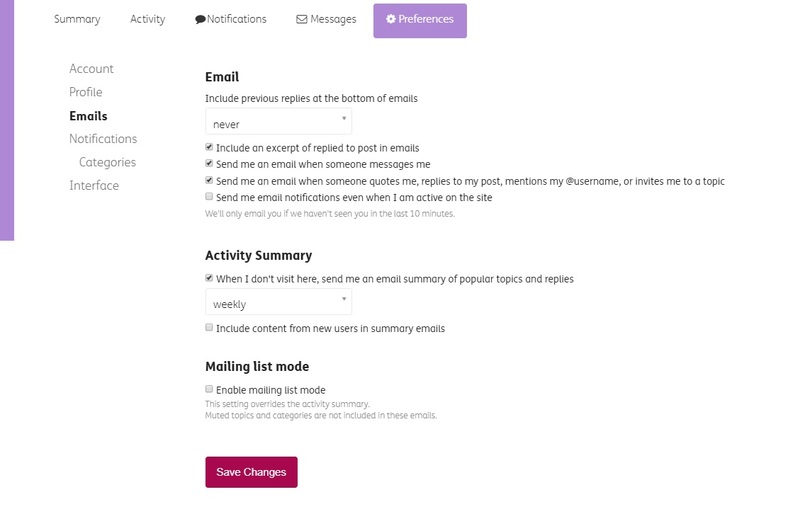 Send me an email when someone quotes me, replies to my post, mentions my @username, or invites me to a topic – this is very useful to make sure you don’t miss anything but again you will still see the notification of this when you login to FamilyHub. Send me email notifications even when I am active on the site – Probably best to leave this unchecked so we don’t email you if you currently using FamilyHub. When I don’t visit here, send me an email summary of popular topics and replies – this allows us to send you a summary of some of the posts you have missed since you last logged in. We thought weekly was best for these emails but do feel free to change the frequency or uncheck the box if you don’t want to receive these. Include content from new users in summary emails – if this is checked you will may see welcome posts from new community members in your summary emails. Please note that any summary email we send will have options to change email settings or unsubscribe at the bottom. Enable mailing list mode – We’d recommend leaving this off or you will end up getting emails about every post on FamilyHub. Don’t worry about these – all it means is that you will see any messages you have received when you login to FamilyHub. You can see then in the top right of the community when you click on the cog icon. You will know if there is something new there as there will be a little number next to your letter/photo icon. 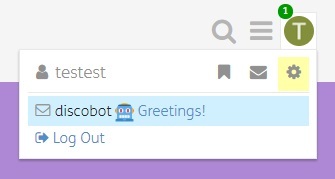 In this example ‘testest’ has a message from our community robot! Once you have read the message the little number 1 will disappear.